Honoring Don Warden: "Mr. Everything"
Dolly Parton pays tribute to legendary singer, manager and Steel Guitar Hall of Famer Don Warden. Don and Dolly met after she joined “The Porter Wagoner Show” in 1967. 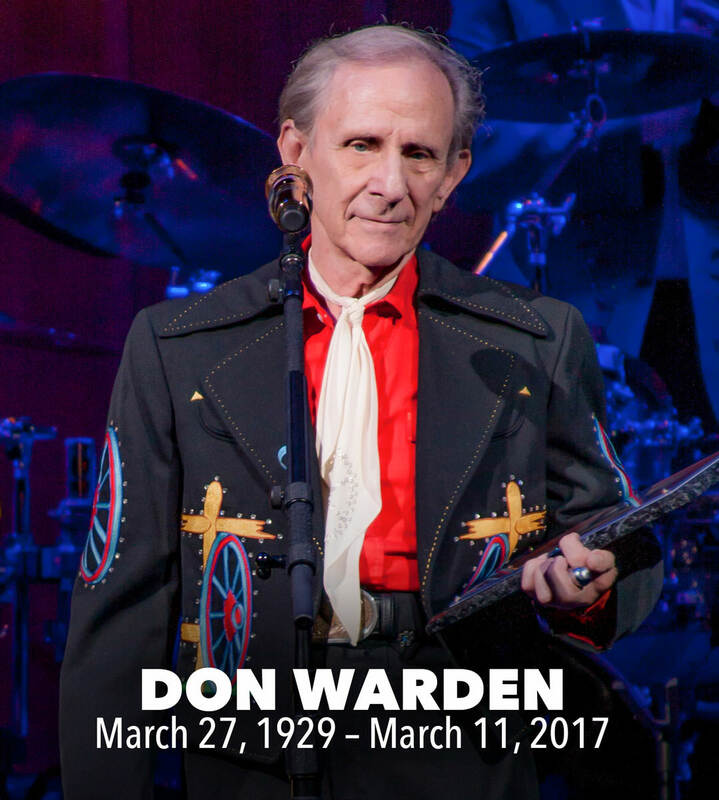 Prior to the popular television show, Don was a founding member of the Porter Wagoner Trio and joined the Grand Ole Opry in 1957. Fittingly, he was inducted into the Steel Guitar Hall of Fame in 2008. Don’s 14-year run on “The Porter Wagoner Show” ended in 1974 when both he and Dolly departed the show. Don loyally served as Dolly’s manager and her “Mr. Everything” for nearly five decades. For Don, retirement didn’t come until his health kept him from the work he loved so dearly. During a 2008 concert honoring their late boss and band leader, Dolly presented Don with the Angel Award. The concert took place at Dollywood and became the last stage shared by both Dolly and Don. In addition to Dolly’s working relationship with Don, his wife Ann became a dear friend and valuable part of Dolly’s career. Ann lent her artistic eye for design to some of the early decorations at Dollywood. Later, she and Dolly’s brother Bobby worked together at the Parton family homestead also known the Tennessee Mountain Home. Perhaps most notably, Ann served on the board of the Dollywood Foundation which launched Dolly Parton’s Imagination Library in 1995. Ann’s loyalty to Dolly is surpassed only by that of her love and devotion to her husband. Music was a huge part of Don’s life from an early age. In high school, he formed his own band, The Rhythm Rangers. In addition to his band leader role, he played steel guitar and sang. As a young man, he had an afternoon radio show on KWPM-AM in West Plains, Missouri. The band eventually made their way to the Louisiana Hayride. There, they backed The Wilburn Brothers and Red Sovine. In 1951, Don stepped away from the show for two years to serve in the US Army. Don Warden was inducted into the Steel Guitar Hall of Fame in 2008. His profound influence on artists such as Dolly and Porter will live on both in the music he made and in the lives he touched. Don Warden (March 27, 1929 – March 11, 2017) was 87 years young.